A rousing programme of Ibert, Saint-Saens, Guillaume Connesson and Respighi. 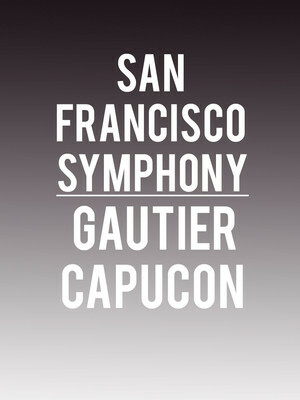 Why See San Francisco Symphony - Gautier Capucon? Considered to be a rising force to be reckoned with in the upper echelons of the classical music world, Gauiter Capucon is a dynamic young performer whose mastery of tone and powerful yet nuanced style of playing place him at the forefront of the new guard. The virtuoso cellist joins the San Francisco Symphony, helmed by French conductor Stephane Deneve, for a programme of Ibert, Saint-Saens, Guillaume Connesson and Respighi. The evening kicks off with the picturesque climes of Ibert's Escales, a sunny suite inspired by the mediterranean. A master work of tempo, key-change and the elevation of the cello as a solo instrument, Saint-Saen's Cello Concerto No. 1 follows. The programme ends with the dazzlingly colorful tone poem Pines of Rome, in which Respighi conjures the glory of the Roman Empire and the beauteous countryside of his homeland. Sound good to you? 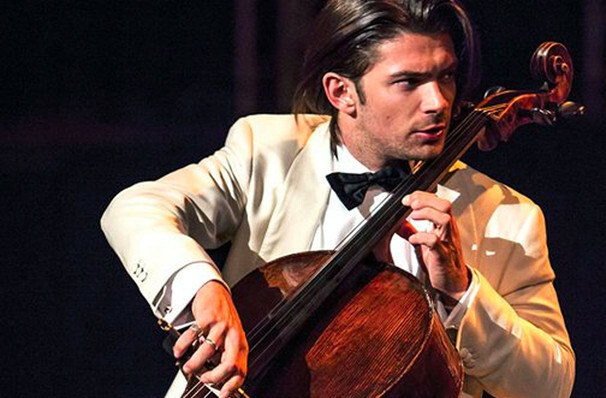 Share this page on social media and let your friends know about San Francisco Symphony - Gautier Capucon at Davies Symphony Hall. Please note: The term Davies Symphony Hall and/or San Francisco Symphony - Gautier Capucon as well as all associated graphics, logos, and/or other trademarks, tradenames or copyrights are the property of the Davies Symphony Hall and/or San Francisco Symphony - Gautier Capucon and are used herein for factual descriptive purposes only. We are in no way associated with or authorized by the Davies Symphony Hall and/or San Francisco Symphony - Gautier Capucon and neither that entity nor any of its affiliates have licensed or endorsed us to sell tickets, goods and or services in conjunction with their events.